“I want to create the Sam Adams of cannabis,” said Mario Signore. For the past century, four generations of the Signore family dutifully provided ice and fuel to businesses and residents, the company’s dark green Brookline Ice & Coal trucks a familiar presence on Boston area streets. 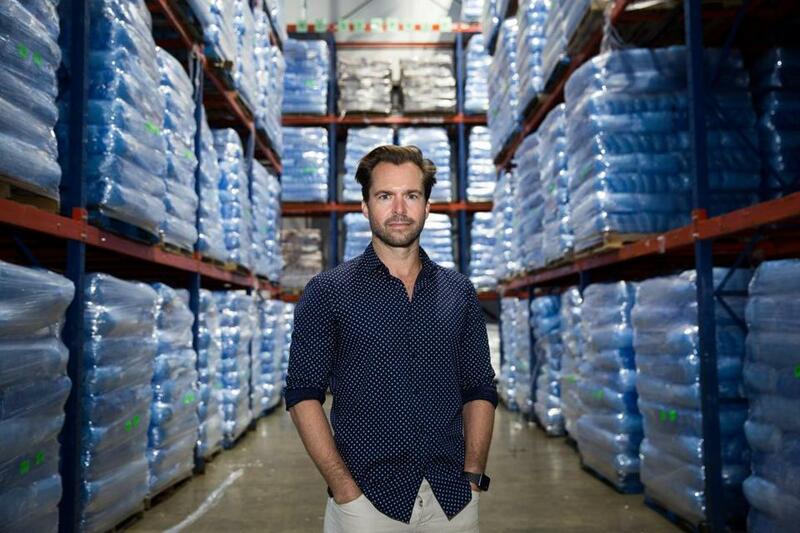 Now, a great-grandson of the founder of Brookline Ice, who veered from the family business to pursue a career in the film industry, has returned to the fold and convinced his elders to support him in a different business altogether: marijuana. Mario Signore plans to lease a family-owned lot in Boston’s Newmarket Industrial District to build a marijuana growing and processing facility, called Green Line Boston. The goal is to create a Boston brand of locally grown cannabis. Signore is deliberately keeping the Green Line business separate from Brookline Ice, which operates out of a modest facility near Route 9 in Brookline and another on Southampton Street in Newmarket. Signore’s $20 million pot cultivation complex, potentially the first for Boston, would be built on an empty parcel on Hampden Street. Signore is seeking investors to help pay for it, while hoping to maintain control of the company. As a kid, Signore would accompany his grandfather on coal runs, packing up the black stuff in burlap bags, and carting them away from basements in Beacon Hill. After he was old enough to drive, Signore joined the crews to make ice deliveries to customers. But he also enjoyed photography, and that passion steered him into film, and away from the family business. Signore watched the recent arrival of the cannabis industry in his home state from afar. He initially suggested to his parents, Mario and Alice Signore, that they go into the medical marijuana business, possibly by growing the plants at their Needham home. His parents, more conservative than him, politely declined. Now, if Signore has his way, that empty property — originally bought for a Brookline Ice expansion, before the Signores decided to open on Southampton Street — will be put to use. He wants to build a cultivation and processing center that’s 40,000 square feet in size, one that could be expanded to 100,000 square feet. He hopes to employ 30 to 40 people there, filling many of the positions with Roxbury and Dorchester residents. He still has several hurdles to clear. Signore plans to make his pitch at a community meeting on Wednesday night at the Hampton Inn, in the Crosstown Center. He needs to negotiate a host community agreement with Boston, and obtain a zoning permit and approval from the Boston Planning & Development Agency. He’ll also need a license from the state Cannabis Control Commission. If successful, Signore expects it will take about a year to build the new facility. Signore said nearby business managers and residents tell him they appreciate that he doesn’t plan to offer retail sales. Helping his case: city rules require a half-mile buffer around pot businesses, which would exclude others, including marijuana dispensaries, from moving in nearby. Susan Sullivan, executive director of the Newmarket Business Association, confirmed that the response among her members so far has been favorable for those reasons, and she expects the group to take an official position on Signore’s proposal within the next several weeks. The Newmarket group has opposed other marijuana businesses before, but those generally involved direct sales to consumers. Those who know Signore say that he should be able to continue to win over any detractors. “I feel like he’s made to run a company,” said Sarah Casey, a Boston resident who grew up with Signore in Newton.